The Bogota Public Library is renaming the children's storytime area to The Nikki Spiegel Storytime Corner in honor of our beloved former children's librarian who passed away in November 2016. Nikki loved reading, she loved children, and she loved nature. 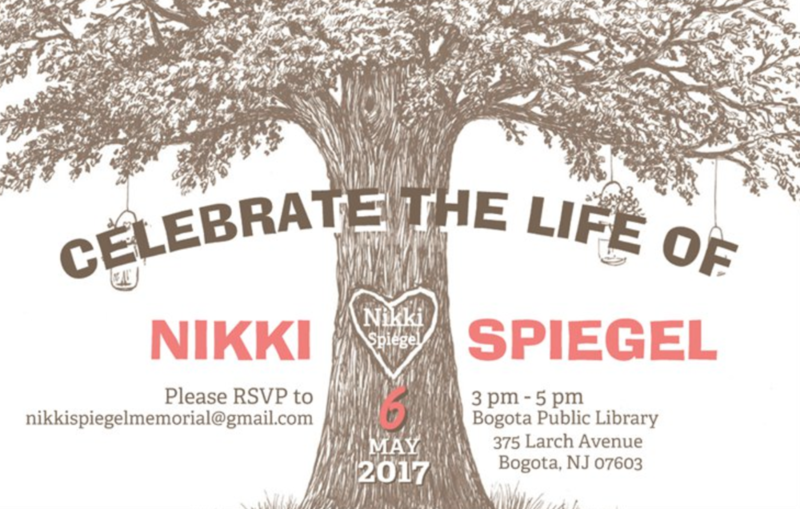 So for a permanent memorial to her, the library is combining all three and building a HUGE TREE that will live in the middle of the newly named Nikki Spiegel Storytime Corner. Nikki used to love doing storytime under the tree outside. 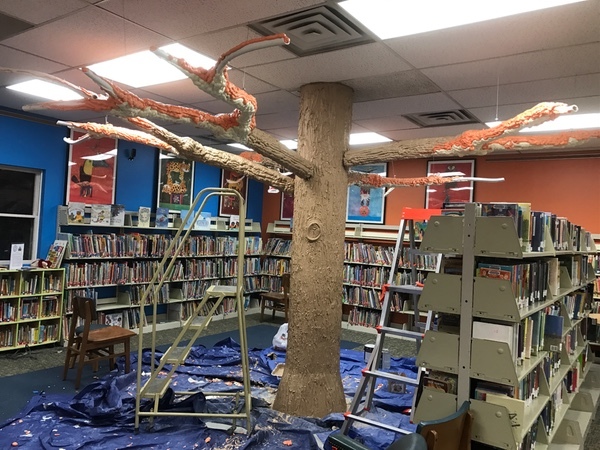 When this project is complete, every child will get to enjoy storytime under her tree! This is an ambitious project, both technically and financially. The total estimated cost is $10,000-$12,000. Since Nikki's passing, the library has received over $3,700 in Nikki's name which will go towards the tree. Please help us raise the rest. Nikki's tree will stand in the library, but it's for all children and all of those who loved her. On behalf of the Bogota Public Library staff and board of trustees, as well as Nikki's family, thank you for your contribution. 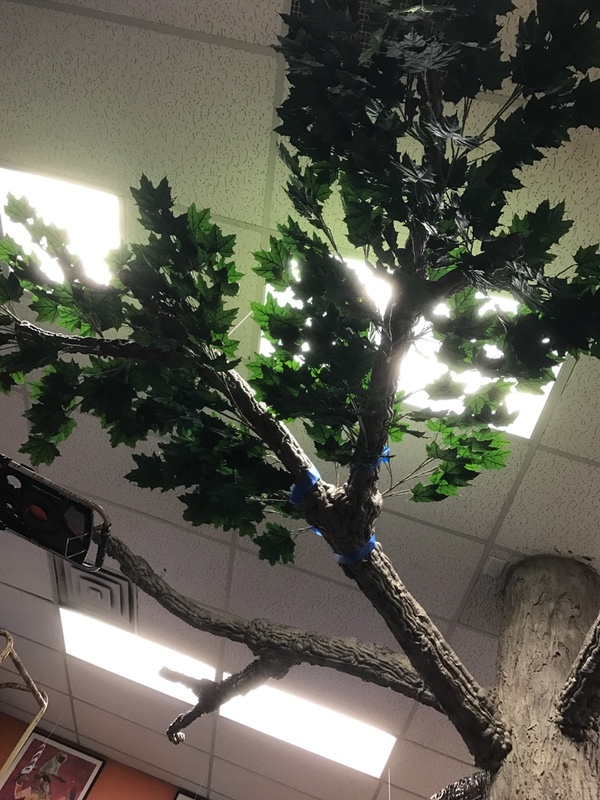 See for yourself how Nikki's tree was built! You are cordially invited to take part in celebrating the life of Nikki Spiegel, a beautiful soul who was a beloved wife, mom, daughter, sister, grandmother, colleague, friend, and neighbor. We will be gathering to share some of our favorite memories of our wonderful Nikki. The Bogota Public Library will also be unveiling the Nikki Spiegel Storytime Corner. Please RSVP by sending an email to nikkispiegelmemorial@gmail.com with your name and how many people will attend. Also, please indicate if you'd like to share a memory at the event. Abracadabra....And the branches are up!!!! Next task on the to-do list: paint!!!! Lillian M. Steen School PTO will be donating $500. A beautiful tribute to a beautiful person. She is missed.